Don Tobul started OD Greens in 2018 to combine hydroponic gardening with his experience as a mental health professional. 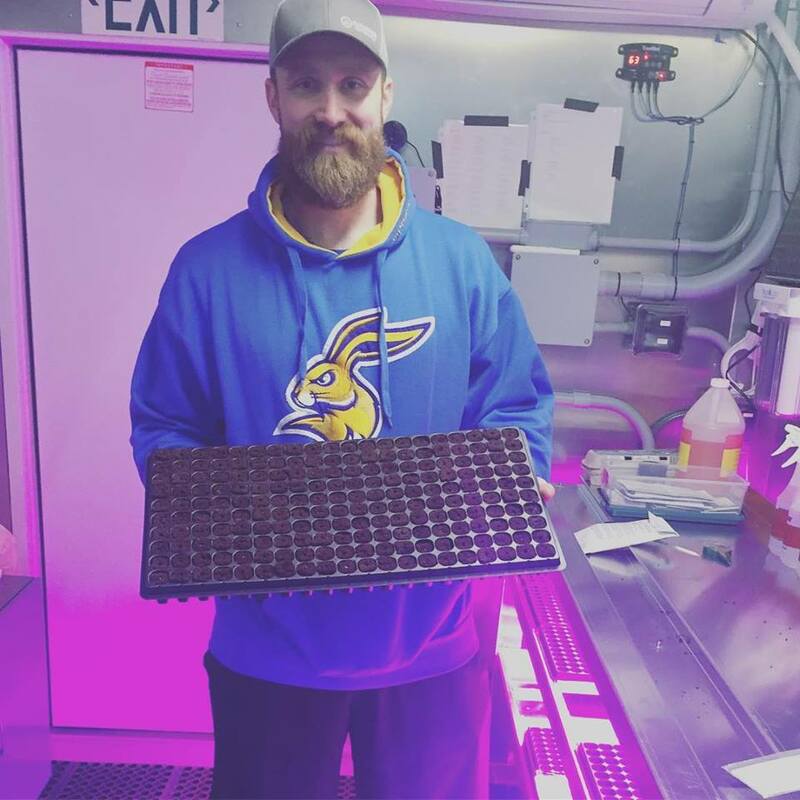 As a veteran himself, Don saw the opportunity to use container farming as a platform for a business that helps fellow vets gain meaningful work experience and re-assimilate into civilian life through therapeutic farm work. We caught up with Don to learn more about his mission and big plans for OD Greens. Freight Farms: Can you tell our readers a little bit about yourself? Don Tobul: Sure–I grew up on a small farm in Ohio, and always had an affinity for science, education, and agriculture, which were the driving forces behind my early career path as a chemistry and physics teacher. I joined the Ohio Army National Guard in January of 2001 as a way of paying my college tuition. Three years later, I found myself on active duty in Iraq, providing security for convoys as they traveled throughout that country. Upon returning home and finishing my teaching degree in 2006, I found that I had another calling. I wanted to work in the mental health field to specifically address PTSD in combat veterans. I obtained my masters degree in Clinical Mental Health Counseling in 2013 and have been practicing ever since. FF: How did your counseling career lead you to start a farm? DT: I became interested in hydroponics and aquaponics as a hobby and built a home system in my basement in 2013. It was while I was working on the system–under the lights with the plants and the fish–that I would catch myself smiling. I decided to explore this phenomenon more deeply; In talking with several of my clients I learned that many of them experienced the same type of mood shift while gardening. That was the lightbulb moment. There were a couple overarching problems though. Primarily, not everyone has access to land or a garden, which limited their ability to farm. Secondly, I live in Cleveland, Ohio–not exactly a sunny destination spot. I chose to approach these limitations with the Army mentality of “Adapt and Overcome”; If the client doesn’t have a garden, provide one for them. If the area you live in gets a total of 15 days of sunshine annually, create an artificial sun. This led me to find Freight Farms and the Leafy Green Machine, and OD Greens was created. FF: Can you explain what OD Green’s mission is? DT: My mission is to blend my life experiences in teaching, combat, and mental health to help others. OD Greens provides workplace occupational development and training to veterans with service-connected disabilities with the goal of assisting them in their successful transition to civilian life. FF: Where does the LGM fit in? DT: I currently work with people who have physical, mental, and emotional disabilities. The motivation to adopt an LGM was primarily the positive effects that farming can have on mental health, but also the adaptability to be able to provide reasonable accommodations for individuals who have physical limitations. FF: And what are you growing in your farm? DT: Currently we grow 10 different types of lettuce, and we’re still experimenting with the ones we feel are the best, and which ones are in the highest demand with our clients. 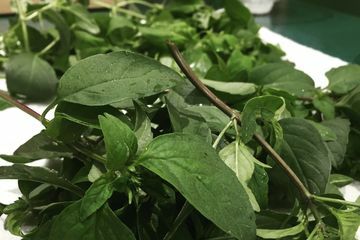 We’re also growing Italian large leaf basil, Thai basil, and lemon basil. We had great success with these three types during our pilot, so we thought it would be a good starting place. FF: By becoming a Freight Farmer, you’ve become part of the local food movement. What does local food mean to you? DT: Local agriculture not only offers a chance to grow local economies, but it also strengthens the bonds between people within communities. I believe that knowing the person who grows your food and where your food comes from should be an important part of the American lifestyle. By shopping local, its easier to relate a story to the food that consumers eat. We begin to understand that food does not come from a store. Food comes from someone’s hard work, tedious and meticulous care, and overall ingenuity. This is the foundation of the American spirit. FF: Seems like you have some really big plans for OD Greens. Where do you see the business in the future? DT: Phase 1 is to demonstrate market feasibility and the viability of the growing component as a standalone operation. Phase 2 incorporates workplace training for disabled military veterans using hydroponics as a platform. The observable and measurable tasks associated with the general operation of the LGM creates a perfect environment to assess an individual’s stamina and productivity throughout a work day. Furthermore, individuals who participate may not have any civilian work history. OD Greens will serve as a workplace environment where veterans can strengthen their resumes and develop strong references for when they apply for civilian jobs. FF: As you grow, what’s one thing you want your customers to know about you and your business? DT: I want my customers to know that by purchasing produce from OD Greens they are helping to provide workplace training for disabled military veterans. I emphasize to my customers that, while my prices might be slightly higher, they are helping to support our mission and disabled veterans with each purchase. I try to maintain competitive pricing whenever possible, in order to make sure that produce is going out to the community. The growing component of OD Greens will serve to support the counseling and workplace training components of the business in the future, and vice versa. DT: As with anything, the fear of the unknown and taking the leap of faith was the most challenging part for me. I’ve never owned a business before, and while I think I have the entrepreneurial spirit, I have no business education or experience. I’ve never worked in sales, and I continue to maintain my day job during the startup phases of OD Greens. FF: That’s a challenge a lot of prospective farmers face. How were you able to overcome it? DT: Luckily, I have supportive family and friends who have helped me at every step along the way. I overcame my fears by running a small pilot system out of my home and establishing a small network of followers including restaurants and a few individual clients. During this pilot I grew as many different crops as I could, logged my measurements daily, and sampled out my product to gain rapport with potential clients. The pilot went very well and it was an invaluable learning experience. It gave me the confidence necessary purchase a Leafy Green Machine. FF: And finally, what’s the best piece of advice you can give to people interested in becoming Freight Farmers? DT: I think the best advice I can give is “Dont try to do it alone.” There are so many people out there with knowledge, experiences, and insights that can help you succeed. Alone, we can get caught up in a process that can seem overwhelming and daunting at times, which is why most ideas don’t manifest into true action. With that being said, my second piece of advice is don’t fully rely on others to provide you with the best information or insights to your business. Take calculated risks. Do what works for you and your business and maintain your sights on your mission. Get to know OD Greens by following them on Facebook and Instagram! Learn more about our farmers through our Case Studies.